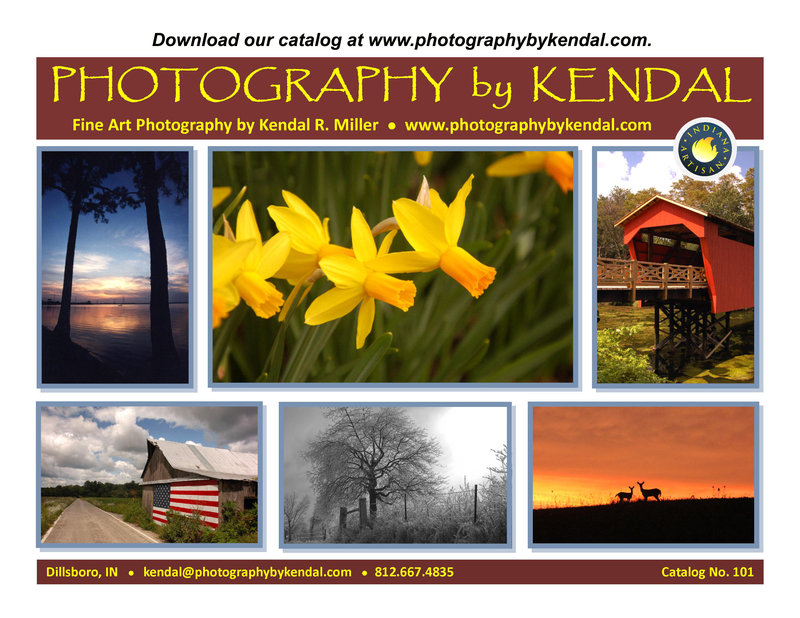 PHOTOGRAPHY by KENDAL is the award-winning photography of Dillsboro, IN photographer Kendal R. Miller. A downloadable catalog available on our new site! The new Photography by Kendal website was made possible by a grant from the Artist Access category of the Indiana Arts Commission (IAC) Individual Artist Program for FY2011. National Accessibility Leadership Award that was bestowed on the IAC in 2009. The new site design was provided by Melissa Jackson Brister. All text and photography ©1997-2011 Photography by Kendal and Kendal Bushnell/Kendal R.Miller.